One of many reasons why Steam at Harper’s Ferry opened was to offer an opportunity to learn about Harper’s Ferry in all its historic glory. Steam sells many historic newspapers from the Victorian Period, but the one especially loved is The Ladies’ Garland, published by John S. Gallagher. One recent acquisition is dated October 21, 1826, volume 3, no. 37. 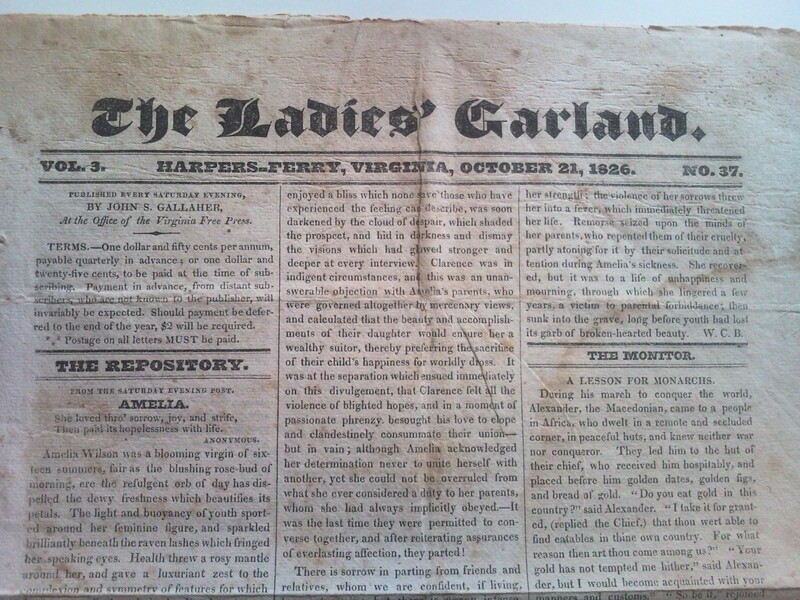 Purchase this and other limited editions of The Ladies’ Garland at Steam at Harper’s Ferry.